How much does the average Prep student walk every day? There are many great traditions that can be easily seen walking through the halls of Cathedral Prep, whether it be the cafeteria, the gym, or trophy cases holding many great accomplishments from over the years. Out of all these, one of the most notable traditions of Prep is the building itself. Cathedral Prep was founded in 1921, and while many things have changed and renovated, the original building has remained relatively untouched. After spending only a few minutes in the halls of Prep, any person will soon realize that there isn’t really any efficient way to get around the building other than walking up and down the mountain of stairs in the building. As any Prep student knows, scheduling and room location can make a big difference in how much time they have to hustle to get to their next class in the allotted time (three minutes) between periods. Going from the first floor to the fourth can make a student feel like they’re running a marathon or climbing Mount Everest. After some simple observations and calculations, there may actually be an answer to this question. Before the final calculations are given, it’s important to understand some important basic measurements around Cathedral Prep. There are approximately 34 flights of stairs, which is more than in the Statue of Liberty. Each hallway is around 35-45 yards in length. For a kid who has to walk around to 7 or 8 different classes a day, that can be a real hike. After tracking steps for an entire day, using various paths and potential schedules, the approximate total distance that the average Prep student walks every day can be anywhere between 4,500 to 7,000 steps, which converts to approximately 2-4 miles per day. 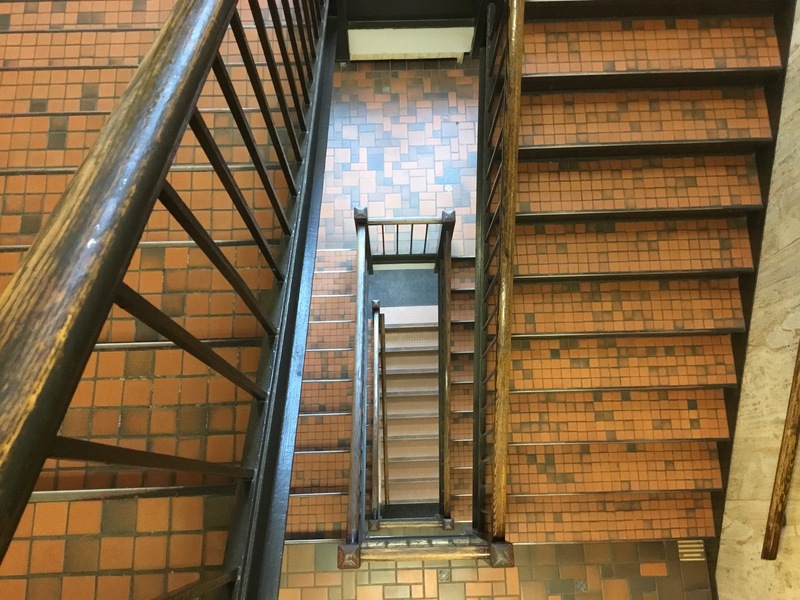 Steps will vary in how far apart your classes are, most notably for Gannon dual enrollment students who make the walk over to different buildings on Gannon’s campus every day. At the end of the day, the walking is not as bad as it may sound. Many great memories are made between classes when students are getting their daily steps in. Overall, the hallways here at Prep are just another unique reason why the brotherhood among classmates is so strong.